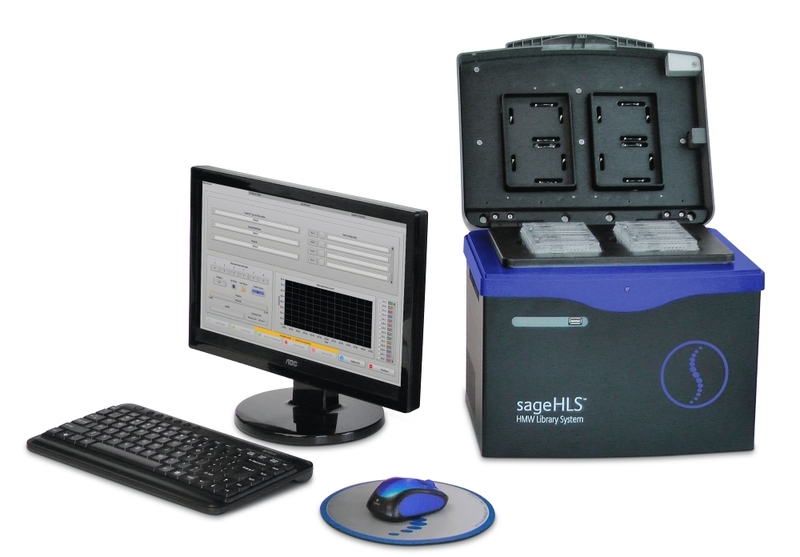 The SageHLS instrument is a new automated platform from Sage Science designed to help scientists work with high molecular weight (HMW) DNA for applications ranging from long-read sequencing to optical mapping. The instrument uses electrophoresis to quiescently purify DNA from cell suspensions, causing intact DNA to become immobilized on an agarose gel surface. DNA is then re-mobilized through enzymatic cleaving, and collected in six size-fractions using automated preparative electrophoresis. The maximum fragment sizes that can be collected are 2 Mb.